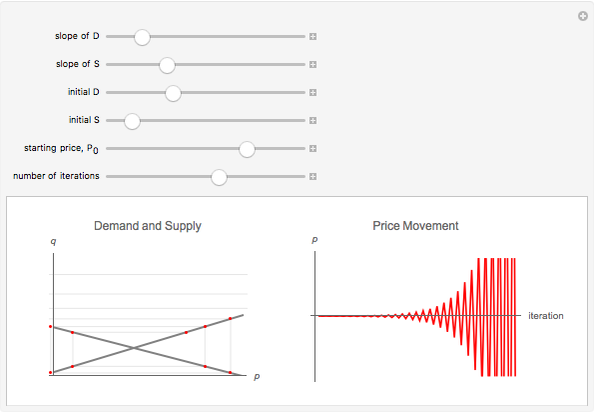 This Demonstration shows how time lags can lead to chaotic dynamics even with monotonic supply and demand curves in a simple competitive market model. 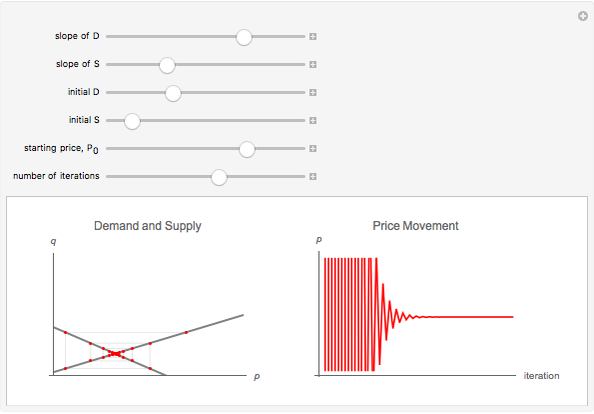 Given an initial price level, sellers supply a certain quantity of goods. However, depending on the quantity supplied, buyers will bid a suitable price . 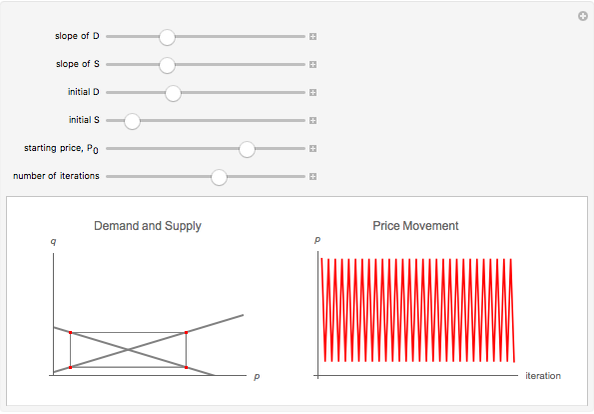 In the next iteration, sellers will supply a new quantity of goods depending on the previous quantities and prices bid. Such cobweb dynamics can create price convergence, singularities, and limit cycles. Samuel G. Chen "Cobweb Model"